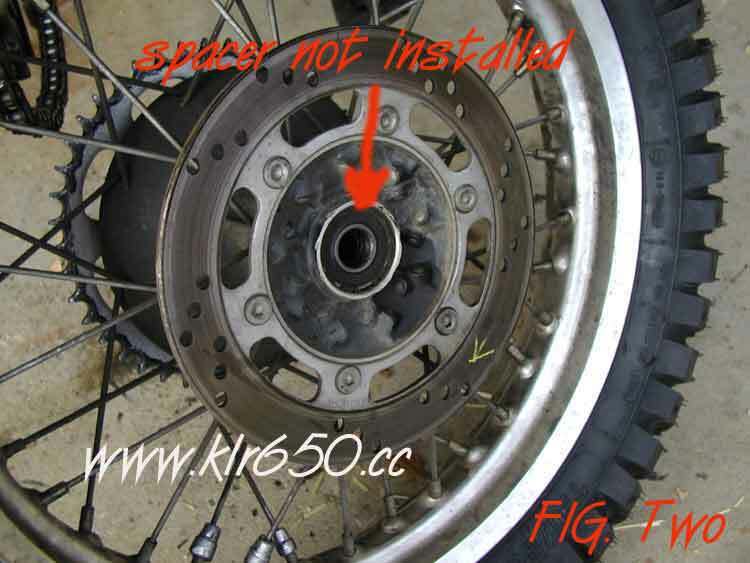 This pictorial shows the position of the 3 axle spacers for the Kawasaki KLR 650. Proper placement of the axle spacers can be tricky if you are not fully aware. 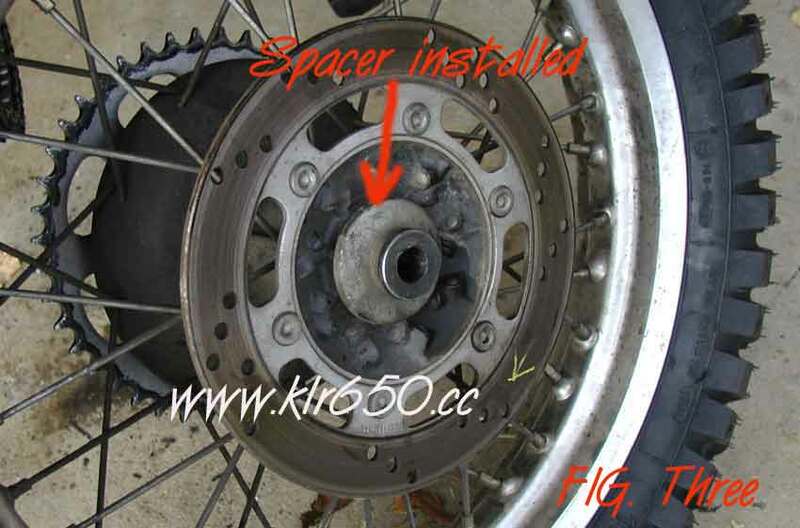 Axle spacers are located on the outside of the rear wheel- brake rotor side, on the outside of the rear wheel- sprocket side and finally there is a "hidden" spacer on the inside of the sprocket side-cush drive. I have also included information on the MFE 99 Sport Explorer tires by MEFO. I have installed these DOT approved knobby tires to try them out, and will be updating this site with a follow up report. I place the axle shaft through the brake rotor side with the axle shaft nut on the left or sprocket side of the Kawasaki KLR 650. 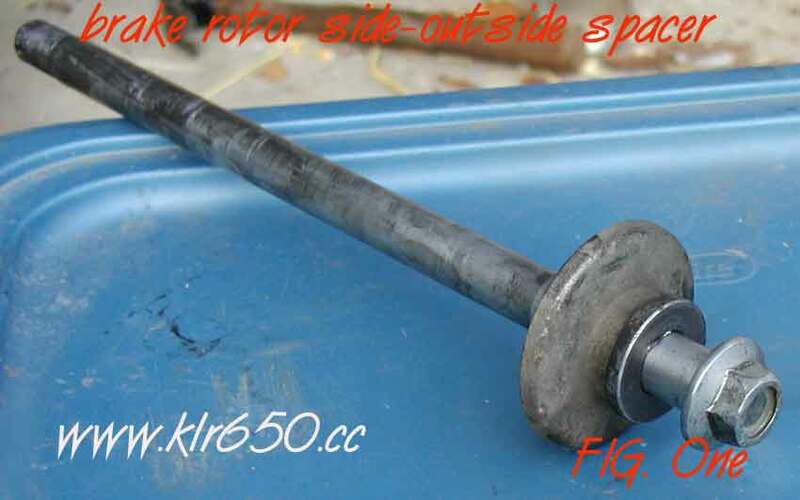 This is the rear wheel axle with the spacer that goes on the outside of the brake rotor. Kawasaki KLR 650 Rear Wheel with spacer removed. This shows the rotor with the outside spacer NOT in place.